Sometimes people are reluctant to look into retirement communities because of preconceived ideas about the lifestyle and culture of senior living. You may be surprised to learn that today you will find communities that are vibrant, attract independent residents and encourage ongoing life enrichment. Kendal at Oberlin is such a community, which also offers high quality health care services and wellness programs. 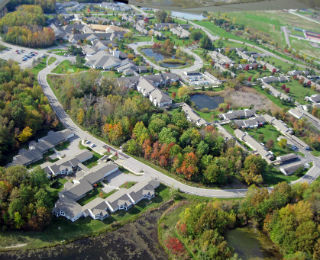 Choosing a retirement community is one of life’s major decisions. Making a list of the criteria that you are looking for in a community is helpful when you start your search. Visiting a number of communities will give you a sense of comparison, and help you narrow your list. It’s a good idea to spend several days at the communities that interest you most. Immersing yourself in a community can give you a better sense of what it would be like living there. There are a number of things that set Kendal apart from other retirement communities. Each person’s individuality is valued at Kendal, and diversity is considered enriching to the community. This is part of our Quaker philosophy that is put into practice. Oberlin has been named one of the best intergenerational communities in the country by Generations United and the MetLife Foundation. That intergenerational atmosphere prevails at Kendal, where the Kendal Early Learning Center is located and Oberlin College and Conservatory students engage with residents in projects. The college and Conservatory offer lectures, concerts, drama, dance and films on campus and at Kendal. Residents can also audit classes at the college at no cost. There are countless committees that drive what happens here, from the art galleries to the choice of food and everything in-between. Volunteer opportunities abound and community spaces for horticulture, artistic endeavors and woodworking offer ways to pursue your interests or experience new ones. The Kendal library is spacious, with much natural light. It includes periodicals, fiction, nonfiction, large print books, movies, a computer and copy machine. In addition to the Kendal library, residents also have access to the Oberlin College library. Kendal’s fitness center, including a lap and therapy pool, classroom and exercise equipment, offers many opportunities to stay fit and healthy. In addition, there are outdoor tennis courts, a putting green, croquet court and walking and biking paths throughout our campus. A beauty salon and full service bank with ATM machine are on site. Transitioning to a retirement community should be about enhancing and embracing a new part of life’s journey. We invite you to spend some time with us. 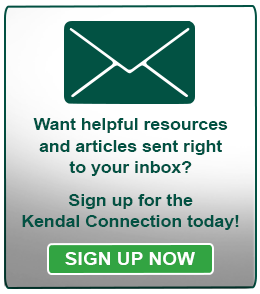 Reading about Kendal isn’t enough, you need to experience it! Come see what our version of independent living is all about.